With no end in sight of the US Government shutdown, we felt it necessary to provide you with information regarding the IRS shutdown contingency plan. Please contact Lesemann CPAs should you have any questions. The Internal Revenue Service will have 46,052 employees on hand – 57.4 percent of its total workforce of 80,265 – to carry out the agency’s tax filing season responsibilities during the partial shutdown of the federal government, according to a detailed shutdown contingency plan for fiscal year 2019 released January 15. 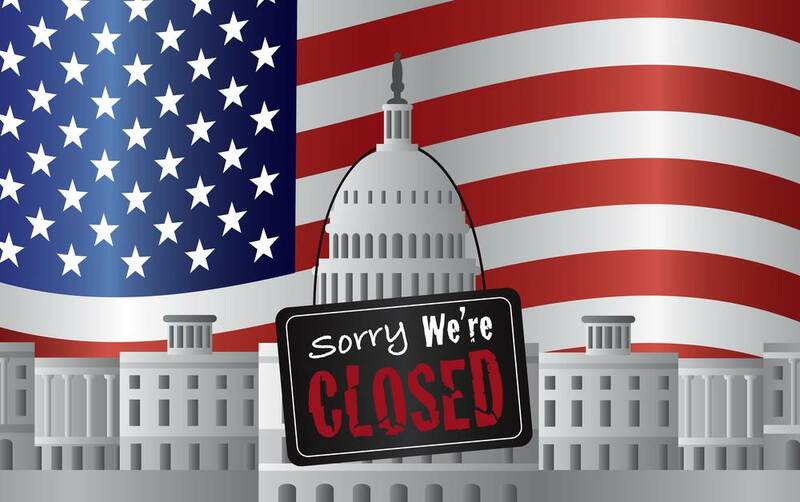 The IRS and Treasury Department are among the federal agencies and departments that were forced to limit their operations to essential functions after the shutdown took effect at midnight last December 21. Return filing and refunds: The contingency plan confirms that the Service will process income tax returns and issue refunds during the shutdown, and will maintain the operations that support those functions. The Service announced last week that the 2018 filing season will begin on January 28. The deadline for submitting tax returns for most individual taxpayers is April 15, 2019; however, because of certain local holidays that fall on or near the filing date, the deadline is extended to April 17, 2019, for taxpayers in Maine and Massachusetts. TCJA implementation: The Service also will continue to carry out activities necessary to implement the tax cut legislation enacted in 2017, known informally as the Tax Cuts and Jobs Act (TCJA). Telephone service: The Service will staff some of its telephone lines to handle taxpayer questions during the filing season, although it cautions that a heavier call volume likely will mean longer wait times. Most automated toll-free phone services will remain available. IRS sources have informally told Deloitte Tax LLP that phone service support will be available beginning January 22 for Taxpayer Service, Automated Collection System, and Practitioner Priority Service calls, although this had not been announced officially as of press time. The Service explains in the contingency plan and in a separate news release issued January 15 that many other IRS operations will be suspended or limited while the shutdown remains in effect. Audit, collection, and enforcement activity: The Service will not be conducting audits during the shutdown, although it will continue to mail out automated initial contact letters. No collection activity will generally occur except for automated collection activity (automated IRS collection notices will continue to be mailed, for example). Criminal investigation work will continue. Taxpayer appointments: During the shutdown, taxpayers with appointments regarding audits, collection, Appeals, or Taxpayer Advocate issues should assume those meetings are cancelled. The IRS will reschedule those meetings after the Service fully reopens. Tax-exempt organizations: The Service will not be processing applications or determinations for tax-exempt status or pension plans. Taxpayer correspondence: The Service will continue to receive mail but will have limited ability to respond. The resulting backlog in correspondence means taxpayers should expect a “lengthy delay” in receiving a reply even after the IRS fully reopens. Private letter rulings and pre-filing agreements: IRS sources have told Deloitte Tax informally that these services will not be available during the shutdown. Mnuchin invited to Ways and Means hearing, but sends regrets. In a related development, House Ways and Means Committee Chairman Richard Neal, D-Mass., announced this week that the panel has planned a hearing for 10:30 a.m. on January 24 to consider the impact of the shutdown on the Treasury Department and on taxpayers more broadly. Neal sent a letter to Treasury Secretary Steven Mnuchin on January 17 inviting him to appear at the hearing. Mnuchin subsequently declined to appear at the hearing, however, and offered to send deputies in his place. It was unclear at press time whether Neal will proceed with the hearing if the Treasury Secretary is not present.